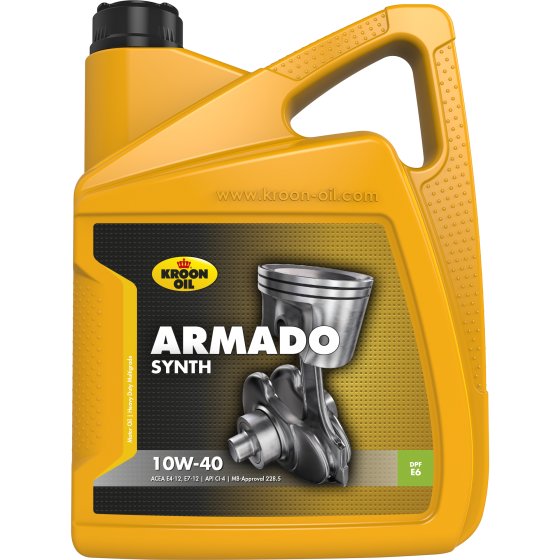 Armado Synth 10W-40 is suitable for diesel engines operating under extreme conditions. The product is highly suitable for use in EURO 1, 2 and 3 diesel engines with low exhaust gas emissions, in combination with diesel fuels with a very low sulfur content. Armado Synth 10W-40 has been developed, taking the manufacturers' instructions into account, to allow very long oil change intervals (100,000+ km) while retaining a very long service life that is free of problems.